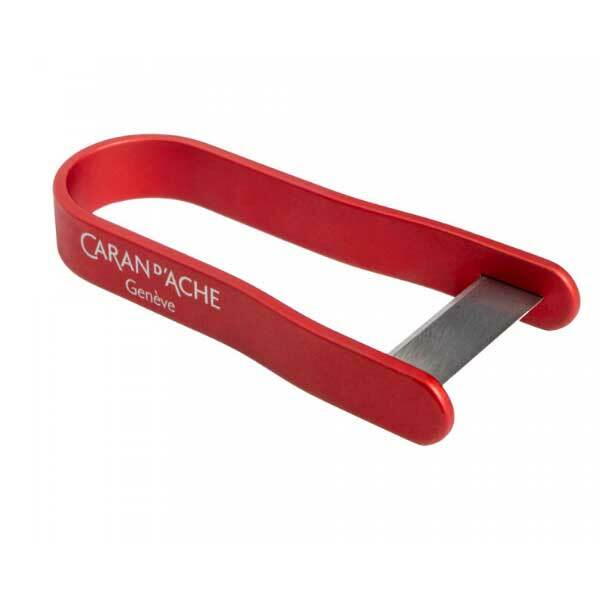 The Caran d’Ache Pencil Peeler is a great tool for sharpening your pencils, especially pastel pencils, which do not fare well in conventional pencil sharpeners because of their soft leads. This product works like a potato peeler; if you run the blade down the end of the pencil or crayon you wish to sharpen, a small curl of wood and lead will be pared away. It is possible to sharpen pencils with more precision than a conventional pencil sharpener, and to sharpen pencils to unusual shapes (to an extremely sharp point, to a flat tip, or to a stubby tip). The Caran d’Ache Pencil Peeler is quicker, safer and more accurate than using a craft knife. This product is 6.5cm long and is available in a Red finish. 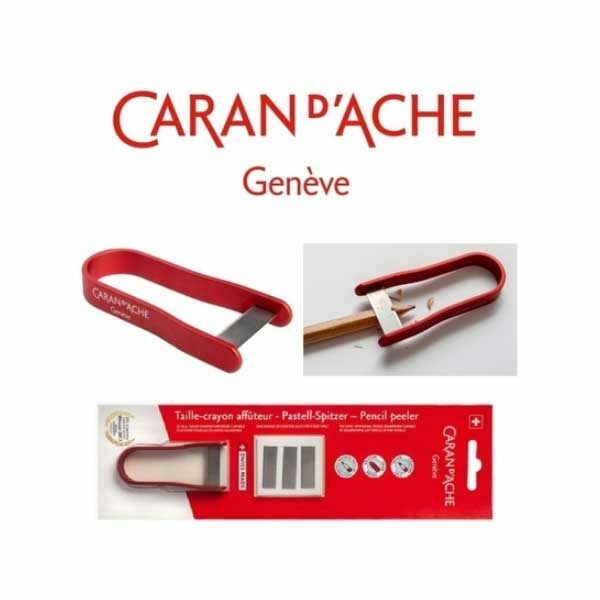 Caran d’Ache has developed a high quality, original and unique Swiss Made pencil sharpener that can be used to sharpen any pencil manually. 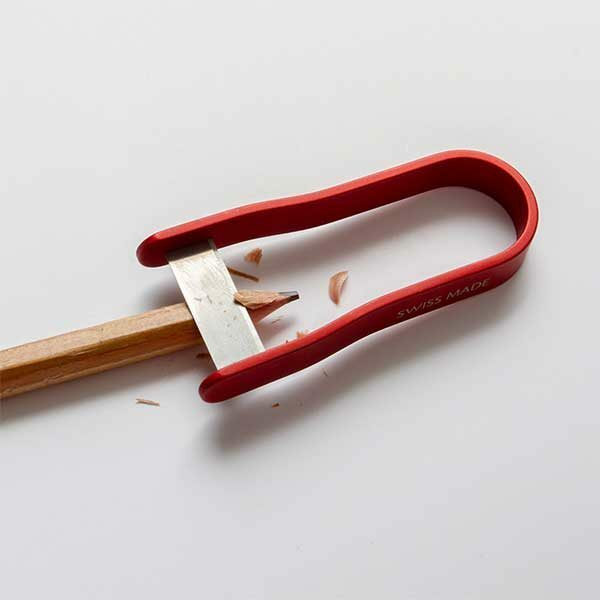 The pencil peeler delicately frees the lead from the wood without weakening it. A truly innovative tool that makes it possible to dose the effort more accurately that the user applies to the pencil. Its simple design and efficiency of use make it an essential and safe tool: it eliminates the need for a cutter and minimises the risk of being cut. The International Stationary Press Association, a confederation of several stationery trade magazines, awarded Caran d’Ache their 2017 Writing Instruments Award for this product.